April has already contained one high-profile London trip for Wolves. Another outing to the fringes of the capital awaits with their Premier League game against Watford in ten days' time. 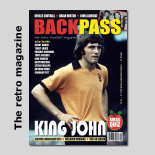 Heading to the south-east in this month of the year might have brought Derek Dougan out in a cold sweat several decades ago as a result of an unfortunate altercation that forms a painful part of Molineux history. It's a big golf Sunday with the US Masters drawing to a conclusion, so now is a good time to cast our minds forward to when some of the Molineux favourites will be pacing the fairways this summer. Steve Daley has today informed us that the main date on the calendar is Friday, September 6 - the day of the Wolves Former Players Association's annual tournament. John Richards fears Wolves' players will have to steel themselves against more heartache when the FA Cup final comes round next month. Richards was a semi-final loser a staggering four times with the club, once as managing director in 1998, and sympathises now with the squad who he believes are still destined to bring happier days to Molineux. As a beaten FA Cup semi-finalist and a twice Wembley winner, Barry Powell knows something about the emotions Wolves and their supporters are going through right now. The former midfielder was among the gold and black masses left heartbroken by yesterday's big turn-around - and can remember the contrasting feelings he experienced when in the club colours more than 40 years ago. In the maelstrom of excitement building up to Wolves’ weekend Wembley visit, most attention has been on past semi-finals, including the miserable showing against Arsenal in 1998. 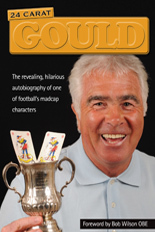 I would like to concentrate on the cup history between Wolves and Watford, though, especially a fifth-round Molineux encounter just over 39 years ago. Might Banksy Have Come To Molineux? Friday, March 1: Was flattered to receive a phone call from Central TV requesting a little help with the background information for their coverage of Gordon Banks's funeral next Monday. What a turn-out that is going to be!